Rochester Active Sports Club - Rochester Nordic Ski Team Rochester Active Sports Club (RASC) is a nonprofit club based in Rochester Minnesota, designed to promote nordic skiing, mountain biking and road biking in SE Minnesota. Fun / Useful stuff, videos etc. RASC Donations - Thank You! 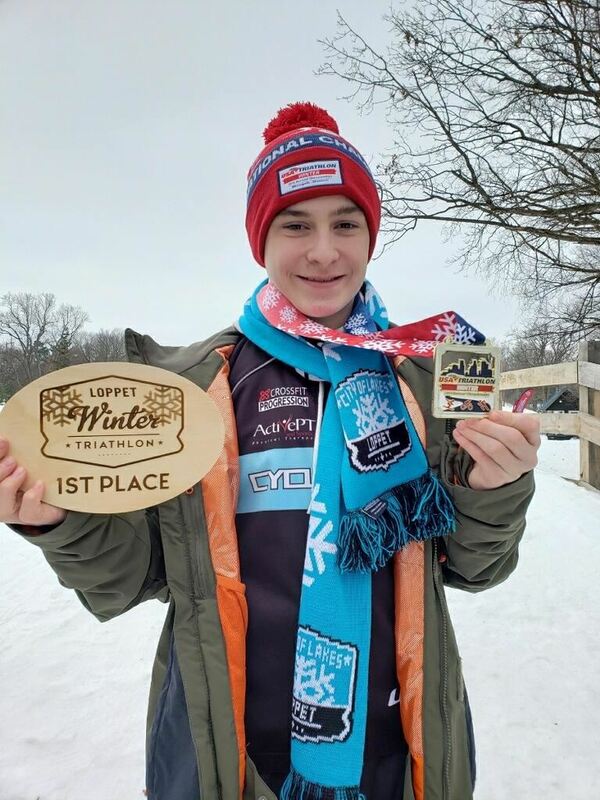 RNST and RMBT Member, Noah Billings, won the U16 category and was 30th overall at the USA Triathlon 2019 Winter National Championships held at Theodore Wirth Park on March 13, 2019! The Winter National Championships included a 6.5 km ski, 18 km of on-snow fat bike, and a 6 km run on the same on-snow course as the ski. Congratulations to all of the RNST skiers who participated in the RNST Olympics on Thursday the 28th February. Thanks to Robb Welch for all the photos. 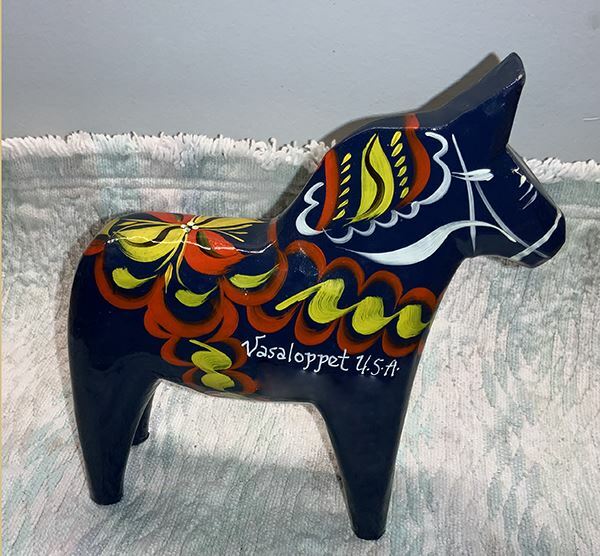 The RASC/RNST haul was a total of two red and four blue Dala horses. Congratulations also to all the other RASC skiers who braved the cold and got out to ski on Saturday. Thanks to Anna Sortland for a photo album from the recent meet in Winona. Click here to see the album which has ~120 photos from the meet. Congratulations to all of the skiers participating in the Rochester Nordic Ski Invitational on Saturday, January 26! 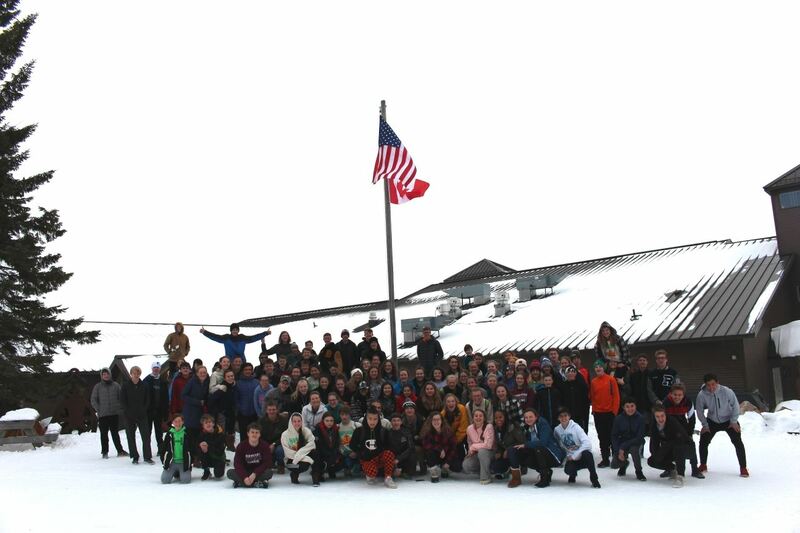 A total of 114 skiers participated in the race with 61 RNST members joining skiers from Red Wing and Winona. The skiers raced a 5.4K trail in the freestyle (skating) technique. In addition to the usual golf course trail, a small section in the woods and a new loop on the driving range was added to the course. First year skiers traversed a slightly shorter 4.7K course which didn't include the loop on the driving range. A timely 5" snowfall a week ago was just enough snow to cover up the icy track and provide good conditions for the race. None of this would have been possible without the grooming and course repair efforts by volunteers (led by Dave Greymont) and Park and Rec grooming. The skiers showed much determination and persistence while on the race course in 5 degree temps and slow snow conditions. It was not an easy day for racing, but the skiers discovered it can be done! Winona captured the boys individual titles with Ryan Meyer leading the varsity skiers and Braden Fritz earning the junior varsity championship. Jakob Ratelle (varsity) and Charlie Busch (junior varsity) finished first among the Rochester boys. In the girls races, Anni Skillicorn of Winona finished first among varsity girls with Hadley Jensen leading the Rochester girls across the finish line. Congrats to Rochester's Natasha Sortland who was the junior varsity girls individual champion. Rochester's Natalie Drake was the first girls finisher in the First Year 4.7K Race. Jon Keillor finished first among the Rochester first year boys skiers. Winona won the team competitions in all four divisions (boys/girls varsity/junior varsity) with Rochester finishing second in all divisions. The Rochester Nordic Invite results are posted on the RNST meet results web page. There are also photos of the invite on the Post Bulletin web site. 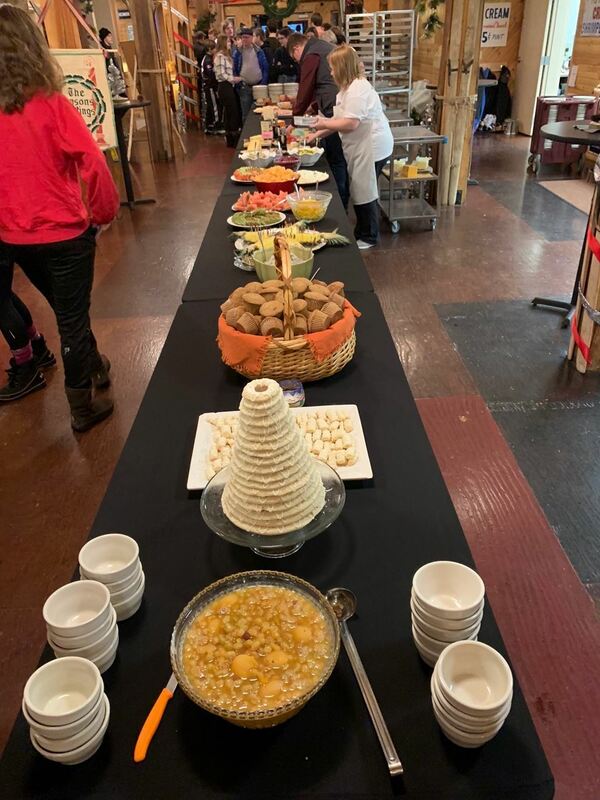 Thank you to Great Harvest who donated the baked goods for post-race refreshments. Be sure to thank them for their support when you visit their store. Thank you to the coaches and parents who volunteered at the race. Your efforts made for a very smooth-running ski race and a great experience for all. Special thanks to Mike Trantow for organizing the Rochester Invite. 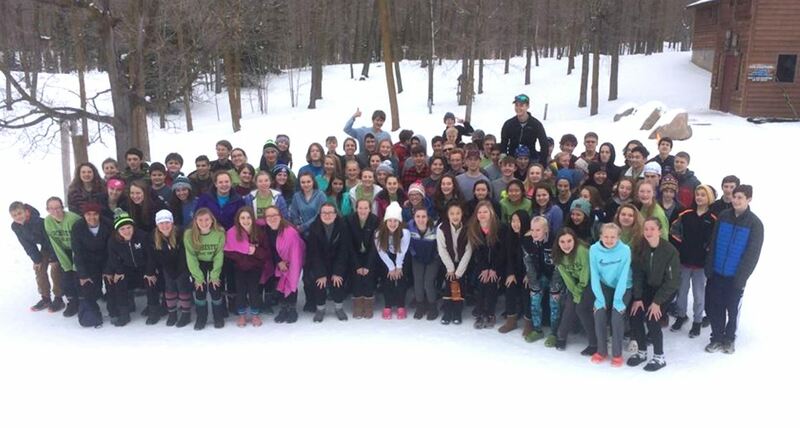 Nice job everyone at the meet - especially the first-year skiers! The coaches are proud of the progress the skiers have made this winter despite the limited on-snow time. It's great to see everyone embracing the Minnesota winter and enjoying the outdoors! Here is a link to photos from the meet, courtesy of the Post Bulletin photographer (57 photos). Thanks to everyone who participated in our annual RNST team fundraiser on Sunday January 13th. A total of $1300 was raised, simple by team members and friends dining at Victoria's on that day. Funds from this event help to support maintenance of the ski trails in Quarry Hill and Essex Park. Many thanks to Kristin Sorenson who organizes this fundraiser, and to Victoria's restaurant for their generosity. (photos courtesy of Finola O'Sullivan). Many thanks to Dave Greymont for the 2 videos above from the RNST Olympic events. Many thanks to Maureen Dewey for all the great photos from the RNST Olympic events. Here is a link to over 100 photos from today's events. Many thanks to everyone who supported the fundraiser and to Victoria' restaurant. This year we raised $1200 for the team and trails! The email address to enter is rnst3128@gmail.com. Calendar is also available at tab above! Here is a very helpful checklist for both RNST skiers and coaches, to help you understand the terminology used by the coaches and allow you to self-check your technique ! Thanks to Joey Keillor and Henry Walker for all the work on this. With the ski race season upon us, you may have questions on the format of the ski races and what preparations should be done. The documents below will answer many of your questions. Am I Ready to Race? 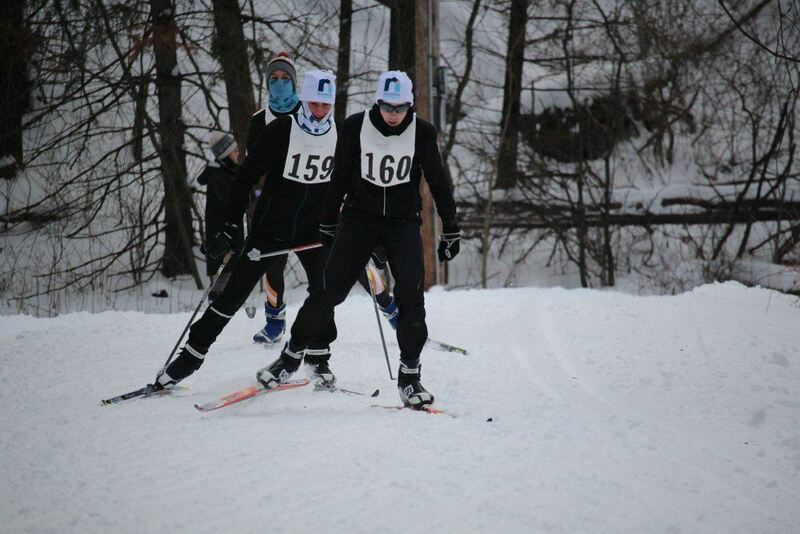 · The 1st year of participation on the Rochester Nordic Ski Team is an introductory year. Skiers will be learning the techniques of skate skiing and building skills and endurance. First year skiers will not be eligible to earn a Varsity Letter. · The 1st year skiers do NOT need to meet the usual lettering requirements (attendance, meets, etc) during this 1st year. Watch the Best Skiers in the World - a great way to learn how to be a better skier! This is a excellent source for all the major FIS nordic ski competitions. Here you can find full video coverage of all the major events from Eurosport in English.